Spin&Relax ? we love the TOYS ! 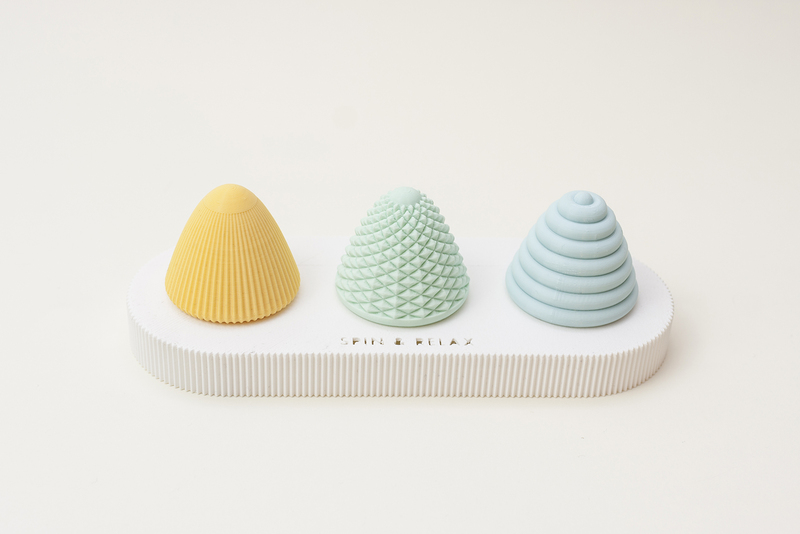 Spin&Relax is a set of three minimalistic spinning tops with a simple base to hold them on while they are resting. Feeling tired and overwhelmed by everyday chores? Have some time off to Spin&Relax. Perfect for you or for your children. UAU project is a multidisciplinary design studio based in Warsaw, Poland. It was founded in 2011 by Justyna Fałdzińska & Miłosz Dąbrowski, graduates from Industrial Design Faculty on Warsaw Academy of Fine Arts. Currently UAU project’s main interest is exploring and experimenting with consumer oriented 3D printing for use in home production because they think it’s the future. They want to show that 3D printing is the best way to make good design accessible. UAU project develop their products with passion and commitment, with only the best quality materials. They take care of the environment, so most of materials they use are either biodegradable or highly recyclable. We look forward to the next creative ideas of this amazing designer and we will certainly continue to follow her career. Or maybe you have seen recently some interesting others projects? We are waiting for the info! Cork Pals are toys !